It is the machine simulator used to draw the winning numbers for a lottery. 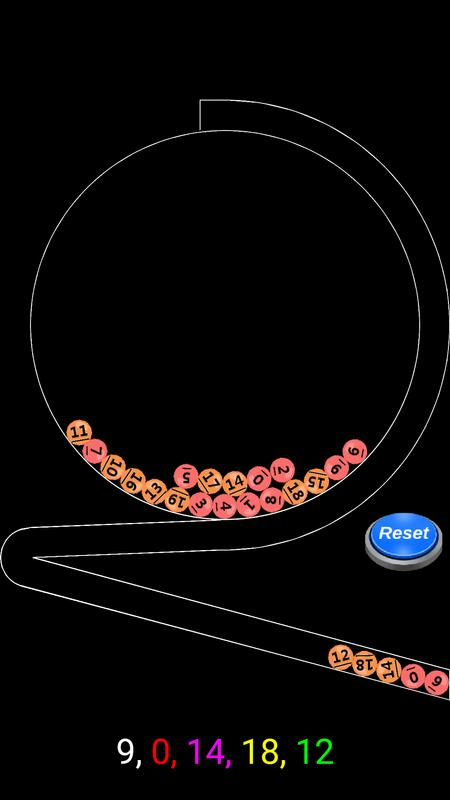 It is the random number picker with 2D physics engine. You can make your own lottery rules.sql_injectionyou can add 5 phases. NOTE: Technical problems may occur regarding to the specification of your mobile.